The Zoom Aqua flag is a must have for any water based event, really push the boat out with this unusual style floating flag, don’t let water restrict the possibility of advertising! 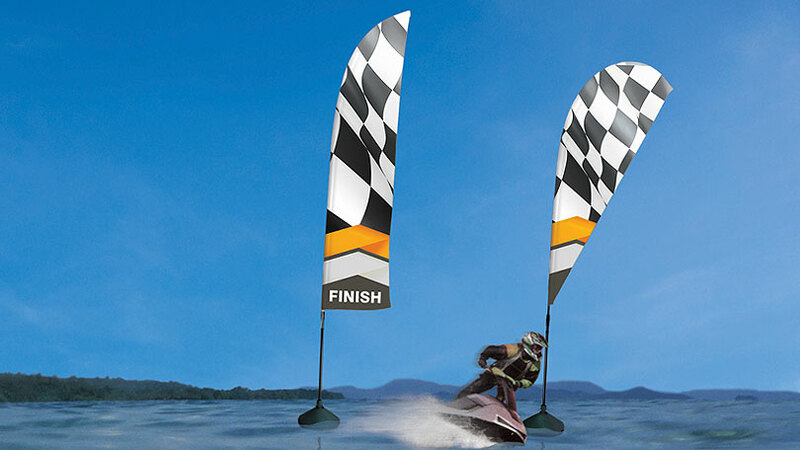 The Zoom Aqua Flag is a great addition to the flag range, specially designed to float in lakes, rivers and reservoirs. Available as a Feather or Quill shape and up to 3.7m high, these flags are a great way to advertise your message on water!